Use Mysqladmin command to set new password as shown below. 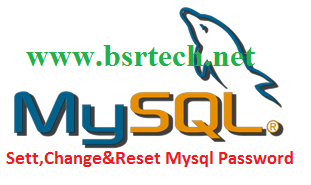 For Example old password is "bsrtech" , now you can set the new password is " mahesh "
If u have forgot mysql password in centos or redhat , how to change password steps given below.. Thank you! This was the best one that actually worked!! !